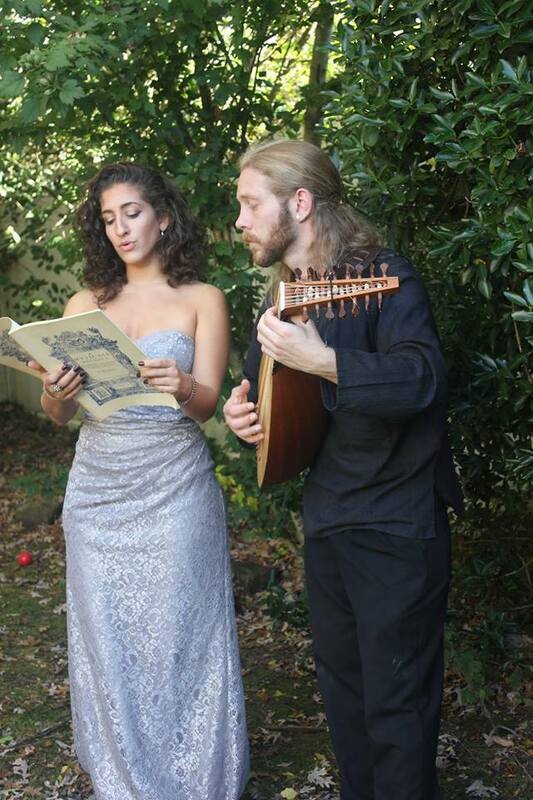 Fiori Musicali - roughly translates to Musical Flowers - is Long Island's own Lute Song duo. 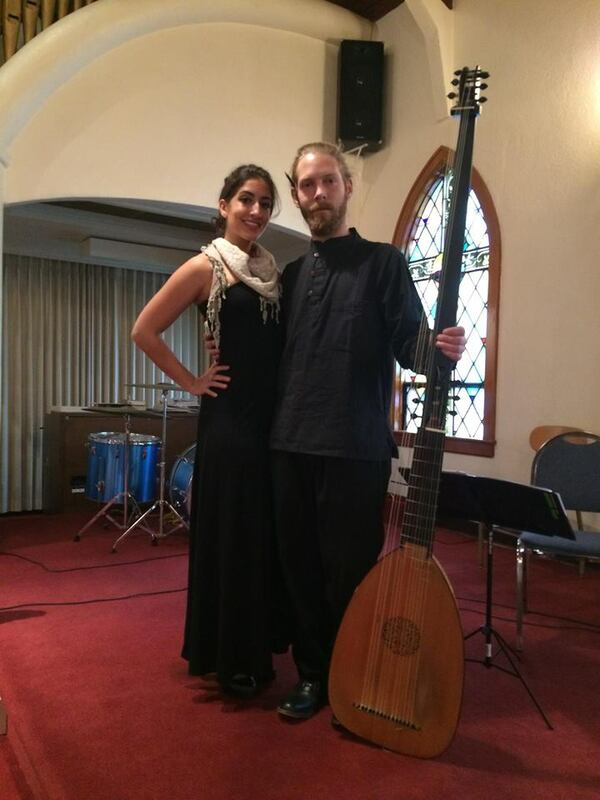 They perform music and songs from 16th, 17th, and 18th centuries using historically informed approaches and instruments. To the left is a moment from a bookstore performance where we paired a Lute solo with a stolen moment from Shakespeare that alluded to that very solo. For extra flavor, we borrowed the very book off the store's shelf. Whether it's the music of the English Elizabethan court, entertainments heard by Louis XIV, Italian operetta, or German cantatas, Fiori Musicali brings you the authentic gateway to the time of masters. Sights and Sounds that have earned Art its respective place in our hearts, and we would love to share it with you. CLICK HERE to book us in your area. Churches tend to offer the best acoustics for historical performances. This particular concert was a Christmas concert that featured some of our local musicians, and of course Fiori Musicali. If you enjoy caring for a garden of your very own, then please share it with us and we'll return the favor. We're looking forward to a variety of garden concerts this spring (2018), to break away from the 'garden variety' musical experience. Like us on FaceBook to stay up-to-date on our concerts, send us a message if you'd like us to perform for you in your home, your backyard, local church, local library, or somewhere entirely different altogether!